Amazon Deals! 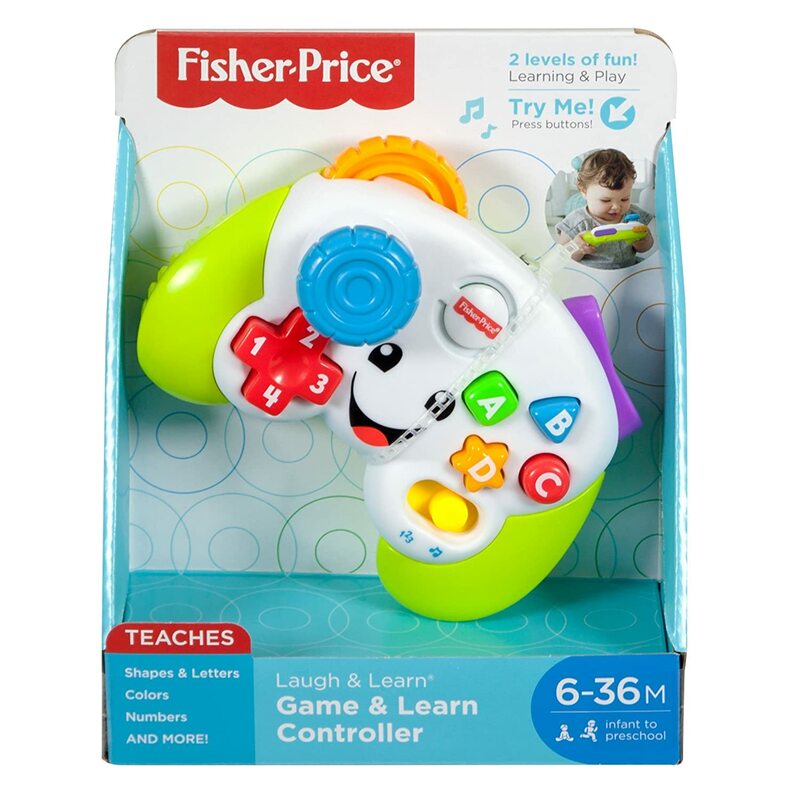 The Fisher-Price Laugh & Learn Game & Learn Controller is $8.99. A fun hands-on learning toy for your little gamer. Will make a great Easter basket stuffer for the little ones. Free Shipping Included. 2 musical settings: Learning and Play! Introduces shapes, colors, the alphabet, numbers, and more! Walmart Rollback Deal! The Fisher-Price Think & Learn Rocktopus, Interactive Preschool Toy is $34.97 (Reg. $59.97). helps kids explore a variety of musical styles while learning about different instruments, rhythmic patterns, and more. 15 musical instruments, 5 musical styles, 3 ways to play – 1 rocking toy! Download the free Rocktopus app to create cool music videos with this rockin dude! Bounce around with all your friends with the Fisher-Price 52″ x 37″ x 35″ Train Ball Pit. This ball pit is equipped with 25 play balls, children will be using their imagination for hours in their new Fisher-Price Train Ball Pit. Fisher Price 52″ x 37″ x 35″ Train Ball Pit:All aboard the Fisher-Price Train Ball Pit for fun, imaginative play. Ready, set, crawl! This adorable plush first friend for baby is “roaring” to go, go, go! Head over to Walmart.com where you can score this Fisher-Price Touch ‘n Crawl Lion for only $16.99 (was $50). Baby’s gentle touch sets lion in motion – moving back and forth & side to side with lively music that encourages baby to crawl along, too! A gentle press on the lion’s back activates motorized crawling motion and fun music to help get baby crawling, too! Add these Fisher-Price Play Balls to a ball pit or a small children’s pool. This set comes in four brightly assorted colors for a fun learning and playing experience. These 250 play balls can be lots of fun when played with on their own. Fisher-Price 100 pk of play balls set comes in 4 brightly assorted colors for a fun learning and playing experience! Great on their own, the Play Balls are also a terrific addition to any Fisher-Price Ball Pit such as the Helicopter Ball Pit or 3-Ring Ball Pit. If you have a baby pool, that’s all you need, the kids will have hours of fun. Right now Walmart has this Fisher-Price 100ct play balls for only $12.90 was $20.10. That’s a great price!